Tumblr beats Instagram as the first photo-sharing app to offer support for Live Photos taken with the iPhone 6s and 6s Plus. Not happy with simply hosting tons and tons photos, videos and GIFs, Tumblr is also now hosting Live Photos, making it the first third-party iOS app to gain this feature. On Thursday Tumblr updated its iOS app to version 5.0, integrating the two cornerstone features of the new iPhone 6s and 6s Plus: 3D Touch and Live Photos. 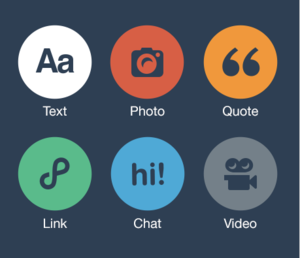 “Now you can press really hard on Tumblr,” according to the company’s blog post. Technically, you could always press really hard on the Tumblr app, but now stuff will actually happen, thanks to 3D Touch on the new iPhones. Most importantly, iPhone 6s and 6s Plus users can now share their Live Photos on Tumblr in all their Harry Potter wizardry. When you go to share a photo, you are able to filter out a still photo, a GIF, or a Live Photo from your camera roll. Like on Apple Photos, “Live Photos have a little concentric-circle supernova icon up in the corner. 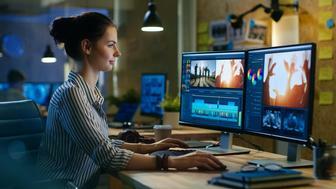 That’s how you spot ‘em.” Once you post a Live Photo, your followers will be able to deep-press on them to see them “come alive,” as long as they’re running iOS 9 and have installed the updated Tumblr app. One last caveat: You must choose only one Live Photo to post on Tumblr in order for it to be supported. Choosing two or more Live Photos to create a montage turned them into regular stills. Additionally, the updated Tumblr app now has more 3D Touch capabilities. 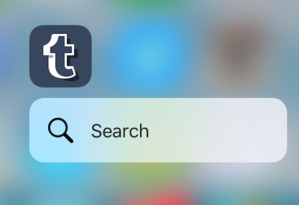 Deep pressing the Tumblr icon on the homepage will surface a Quick Action shortcut to search through Tumblr. On the app’s dashboard, deep pressing on a name or avatar will surface a Peek into that Tumblr blog, and swiping upwards will give you the option to share the Tumblr, get notifications whenever something new is posted, or send a message to that Tumblr user. Why this matters: The could-be-magic of Live Photos was one of the most-loved features on the new iPhones. However, these Live Photos turn dead-flat whenever we tried to store them on Dropbox, Flickr, or Google Photos. Just as frustrating, Facebook and Instagram hinted they’d offer Live Photos support soon, but nothing has materialized yet. Making their magic almost moot, Live Photos have been impossible to share on popular photo-sharing apps. Until now. Tumblr has pulled a fast one on its many, many competitors to become the first third-party app to give Live Photos another place to live.